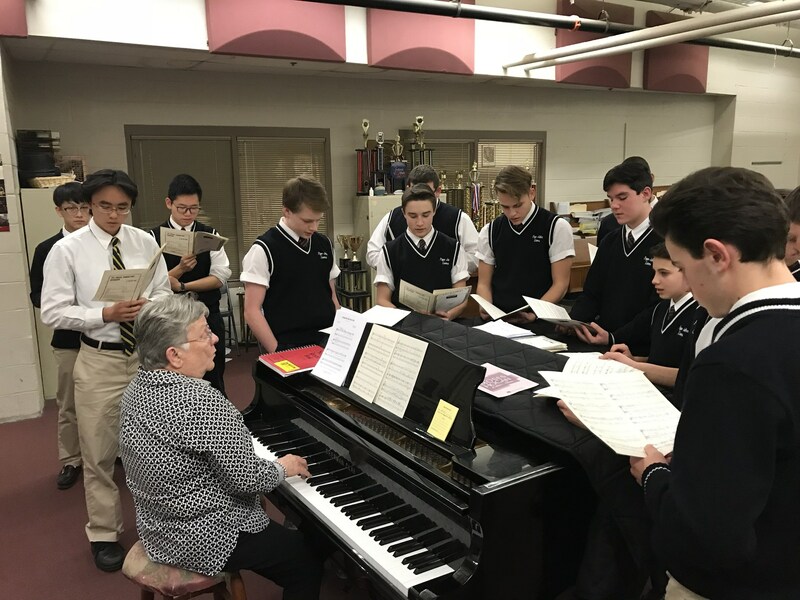 The choral music program offers opportunities to singers who are unsure of their vocal abilities to those who are considering singing at the college level. The primary aim of the mixed chorus class is to develop the student’s voice as naturally and artistically as possible. 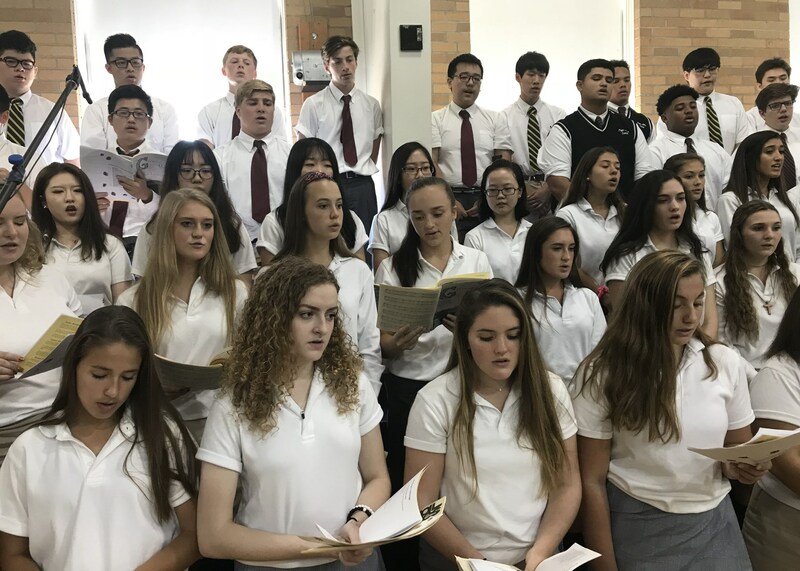 The honor choruses will perform college level music based on the madrigal curriculum of both Westminster Choir College and St. Olaf’s College. 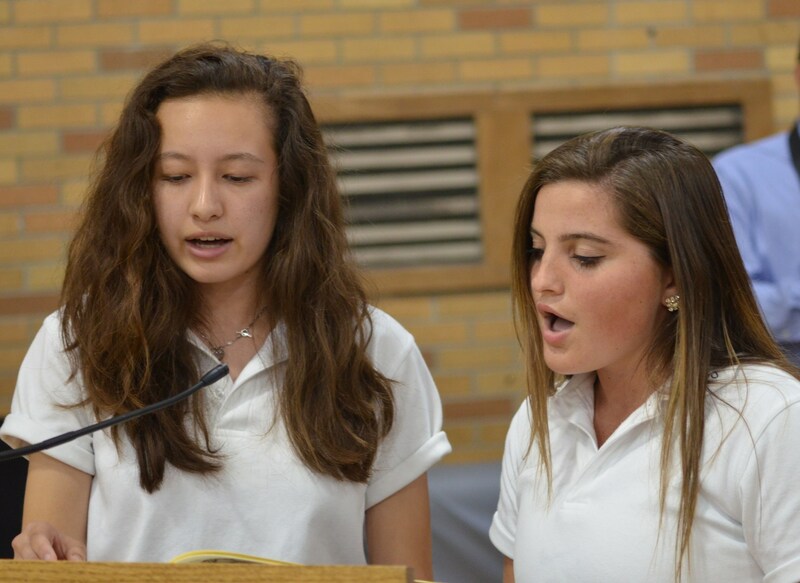 The honor choir students provide the music for all of the school’s masses. These students also perform for various community events.